Pre-TTC: BC pills since age 13, due to heavy and crippling periods with no regularity. Oct 2008: Stopped BC pill. Began piling on weight, cystic acne, body hair, and cycles of 120+ days. 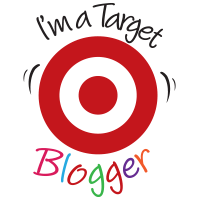 Apr 2010: Diagnosed with PCOS. Metformin 1000mg. Dec 2010: Began NTNT - cycles continued to be irregular. Apr 2011: Metformin increased to 1500mg. Began taking prenatal vitamins & Vitex. Jul 2011: Another dr visit with no luck. Lose weight. Sep 2011: Referred to first RE. Metformin increased to 2000mg. Diagnosed with annovulation. Oct 2011: Clomid 25mg. No O. Progesterone required to induce AF. Dec 2011: Clomid 50mg. No O. Progesterone required to induce AF. Feb 2012: Met with new RE. Male issues as well as resistant to Clomid - referral to IVF clinic. Feb 2012: HyCoSy/HSG - tubes clear. 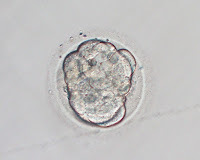 Mar 2012: Began IVF #1 down regulation. On BC pill. April 25, 2012: Blood test #4 & follicle ultrasound. Still 10 follies, E2: 2500+. Triggering tonight. April 27, 2012: Egg collection. 5 eggs. Regular IVF recommended. Got the bad news on Mothers Day. May 2012: RE confident that with increased dosage of meds & longer trigger wait time, we'll get more mature eggs next time around. June 21, 2012: All clear for IVF #2! July 30, 2012: Egg collection. 3 eggs. Regular IVF recommended. July 31, 2012: Fertilisation report - 3/3 normal fertilisation!! Yeah!! A great 28th birthday present. 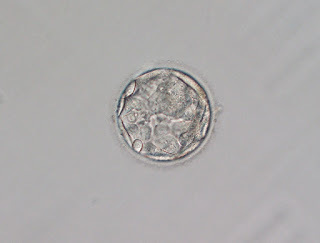 Aug 4, 2012: Embryo transfer @ 5 days. A gorgeous, almost-hatching blast. And... we have 2 frosties!! Aug 11, 2012: Faint + pee stick. Pregnant? Aug 12, 2012: Digital positive. 1-2 weeks pregnant! Sep 4, 2012: 7 week ultrasound! Baby is measuring on par at 7 weeks + 1 day, heart rate of 139 bpm. Sep 25, 2012: 10 week OB visit. Baby is measuring a few days behind at 9 weeks + 4 days, but Dr says to keep tracking it as 10 weeks + 1 day. Heartbeat looks good! Oct 8, 2012: 12 week NT scan. Baby looks perfect, measuring 12 weeks. Heartbeat was strong & loud! 1:169 chance of abnormalities. Nov 2, 2012: 15 week OB visit. Baby's heartbeat was 156bpm. Nov 5, 2012: 16 week early gender scan! IT'S A GIRL!!!! Nov 26, 2012: 19 week anatomy scan. Still a girl! Baby's heartbeat was 154bpm. Looking good! Dec 7, 2012: 20 week OB visit. Baby's heartbeat was 155bpm. Morphology all okay. Jan 14, 2013: 26 week scan. Baby is still a girl, very camera shy! Baby's heartbeat was 153bpm. Jan 31, 2013: Passed GTT #2! Feb 17, 2013: Baby shower!!! March 20, 2013: Georgia born at 36+5 weeks - surprise!!! Pre-TTC: Breastfed Georgia until she was 12 months old. TTC from her birth with no success, due to no cycles at all. Got to pre-pregnancy weight. 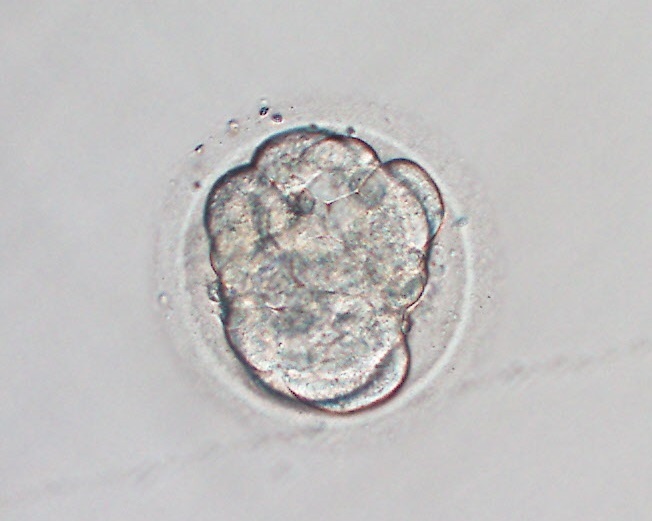 Apr 2014: Fertility specialist appointment - plan of action for frozen embryos. Take progesterone to induce AF and have bloodwork & ultrasounds conducted. Apr/May 2014: Clomid 100mg. No O. Progesterone required to induce AF. May 2014: Letrozole FET #1 to induce O - O at day 20! 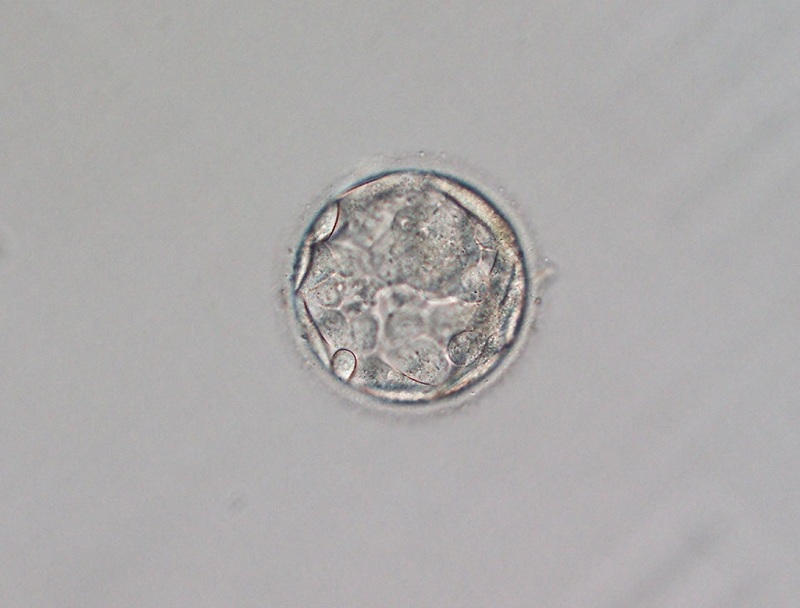 June 2014: Transferred 1 frozen blastocyst - 80% thawed. 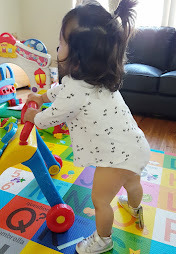 August 2014: Routine OB appt at 11 weeks - no heartbeat. D&C the following day. Heartbroken. We lost a little boy with Trisomy 21/Down Syndrome. August 2014: Waiting, waiting, waiting. August 2014: Genetic karyotype testing normal for both Hubby & I. Trisomy 21 deemed a fluke. October 2014: Letrozole FET #2... transferred our last frosty - B grade. November 2014: hcg levels declining - lost the baby at 5.5 weeks along. More heartbreak. November 2014: Full recurrent miscarriage panel done - all normal results. December/January 2015: Anovulatory cycle, Provera to induce period. May 2015: New IVF stim cycle #4 begins: antagonist protocol with Gonal-F & Orgalutran. June 2015: Mandatory rest cycle. Moved our embryos to a new clinic to start fresh. All embryos died, bar one. 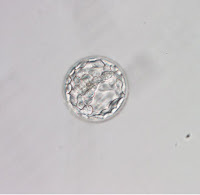 Transferred 1x sad looking day-5 embryo that was very behind. Long down-regulation cycle - 19 eggs retrieved & cycle converted to Freeze all for OHSS. 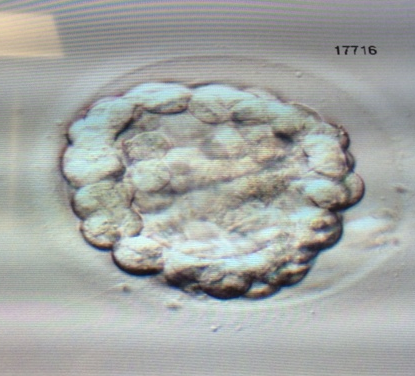 September 2015: 8 embryos frozen at day 4. Mandatory rest cycle. 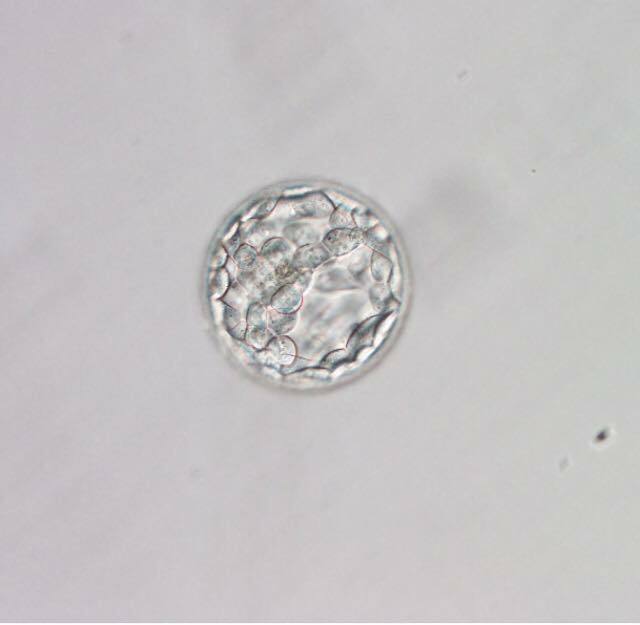 Transferred 1x day day 4/5 embryo - grew to an early blastocyst. Fingers crossed! November 2015: hcg levels declining - lost the baby at 5 weeks along. More heartbreak. December 2015: continued miscarriage until the week before Christmas. NIPT results: normal. We are expecting a baby GIRL in October 2016!